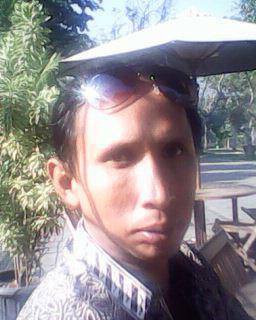 Borobudur tours. 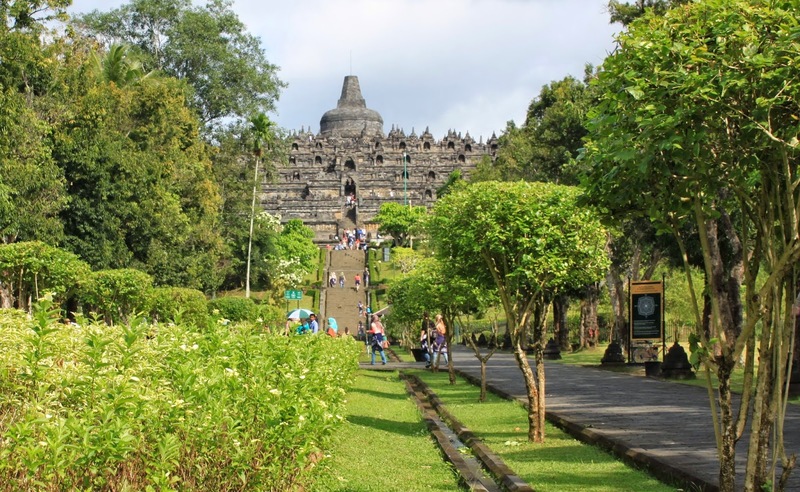 Borobudur tour package programs or borobudur transit tours is intended as tour service for who wish to visit Borobudur temple in a day, even arrival from Yogyakarta airport, Semarang airport, or Semarang Port. You will spend a day tour with us with main destination : Borobudur temple, then we take you back to airport or semarang port for departure/sailing. Borobudur tours. 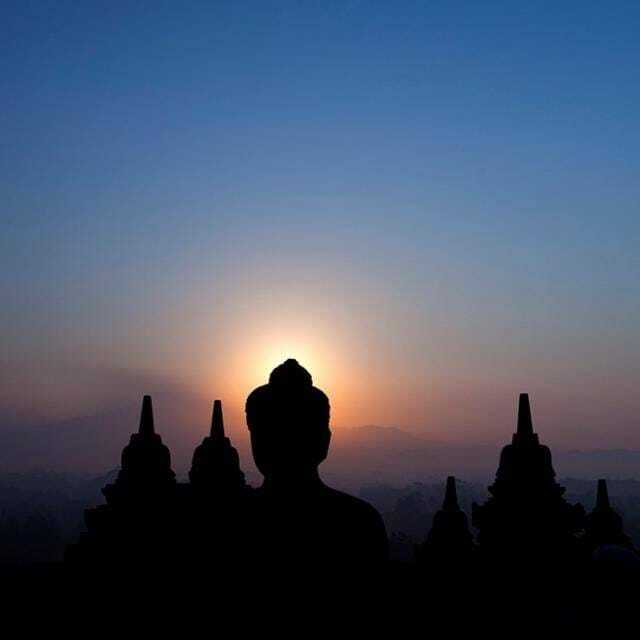 Borobudur was a bigger Buddhist temple that built at ninth-century. It was the most complex structures erected in ancient times. 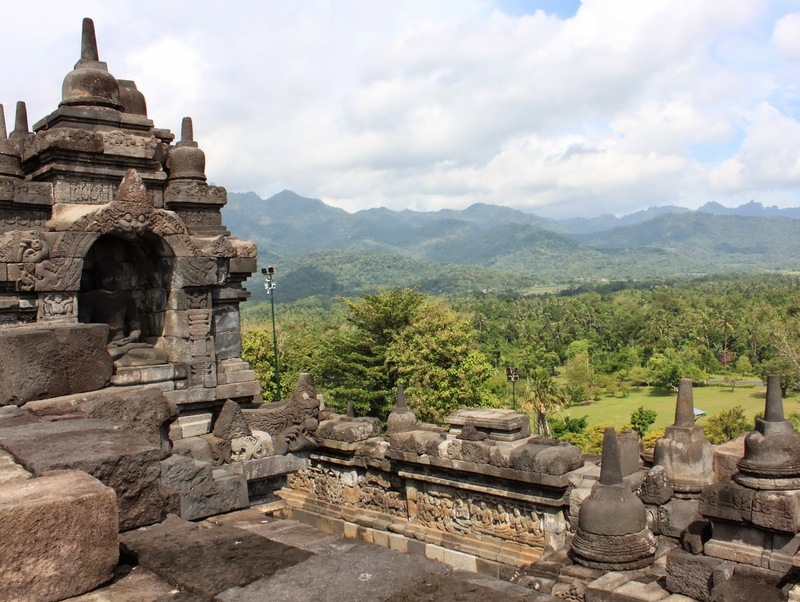 Built by Java's Buddhist rules, served as pilgrimare point to teach the masses about the nature of human suffering, reincarnation, and enlightenment. This richly illustrated volume provides a comprehensive introduction to Borobudur's history and symbolism, including the Buddhist tales depicted in the 1.460 exquisite relief panels that line the lower terrace walls. Tri Tepusan inscription is an archaeological inscription from the time of the Ancient Mataram Kingdom which states that Sri Kahulunnan in the year 842 AD confers land in the village of Tri Tepusan for the manufacture and maintenance of holy places Kamulan I Bhumisambhara (most likely the name of "Borobudur" temple now). Duplicate and photographs of the inscription is stored in the Borobudur museum. 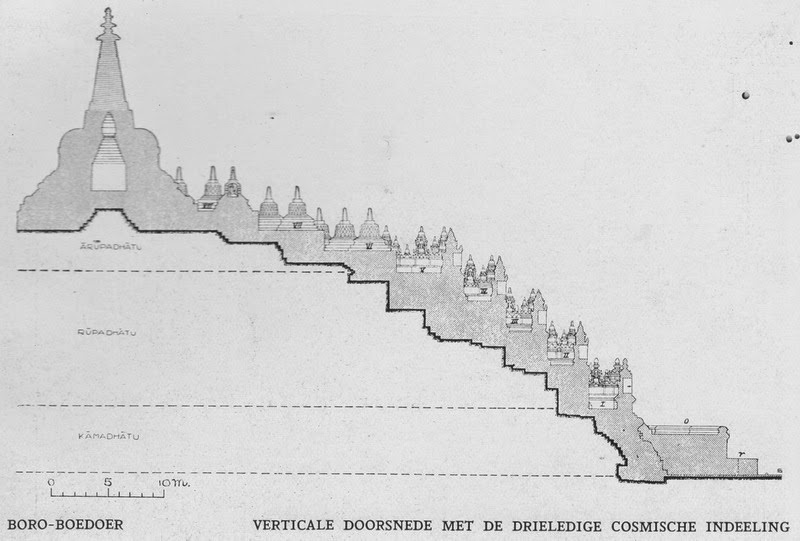 1 Kamadhatu: the foot of Borobudur Temple. Karmawibhangga: who sculpted reliefs at the foot of the temple, as many as 160 relief, each side 40 pieces, taken from silk (holy book) Karmawibhangga, contains the teachings of the law of cause and effect (karma). Relief in this section describes the man is still bound by worldly desires. One of the reliefs Karmawibhangga photo collections can be followed on collection collection Kassian Cephas. 2 Rupadhatu: Borobudur body parts. Relief in this section illustrates the way of renunciation of human perfection (nirvana). 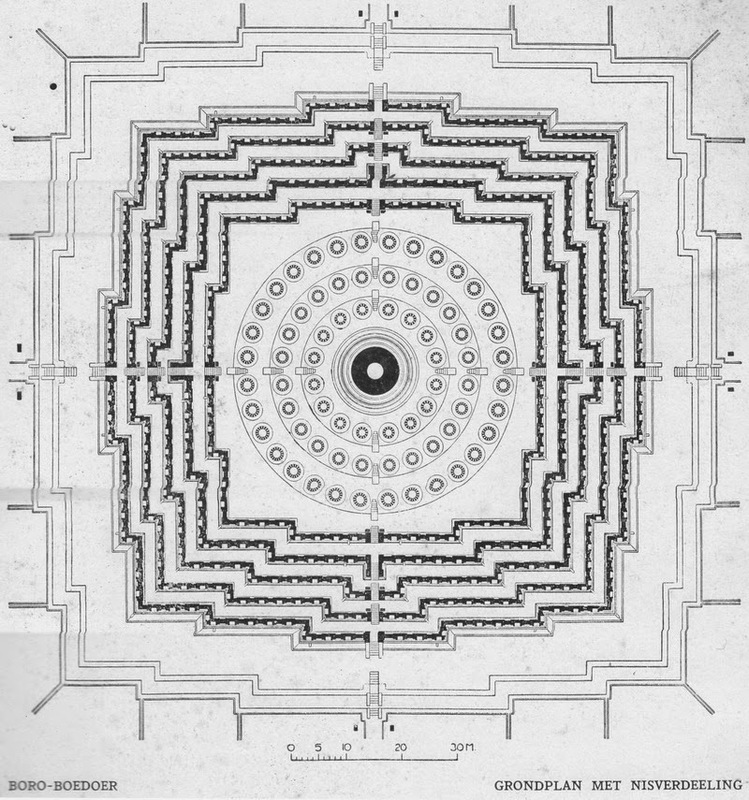 3 Arupadhatu: the top of Borobudur (stupas) that describe nirvana, the perfect man has gone forth. 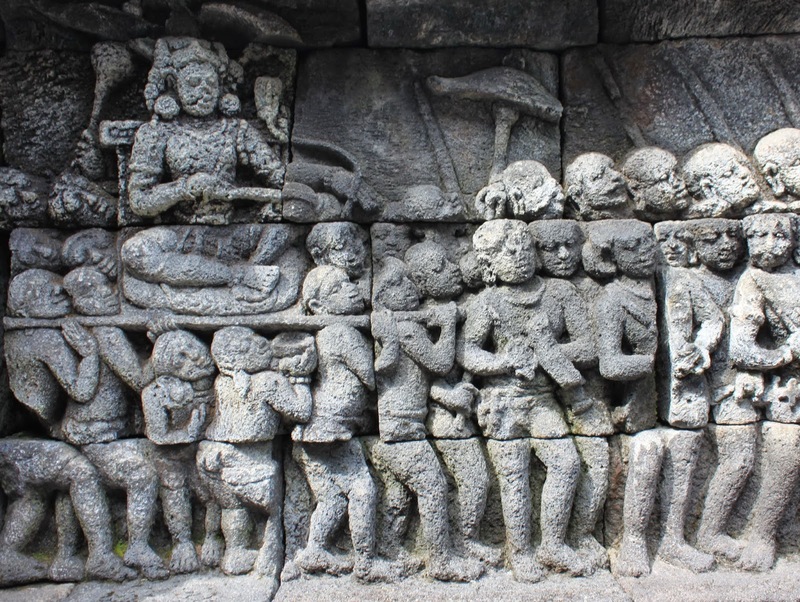 Borobudur Tours (a transit tour package) also served you who landed at Semarang Airport or Semarang Port, but without visit to Prambanan Temple. if you want more tight schedule then we can skip trip to Sultan Palace, so it's very hoply you can tell me soonest your flight arrival time and flight departure time for me to arrange all in best accuracy time schedule. Those time itinerary valid only in normal season, not in high season (around Idul Fitri days, old and new year). With you use our services you will get not just a private chauffeur service but also scientific information about Borobudur and Prambanan, hospitality, comfort, patience, and safety. Then please don't be hesitate to contact us by email to : aswoto69(at)gmail.com. I really appreciate you as a guest of Yogyakarta, so if you agree to use our services in terms of transportation while in Yogyakarta, we do not require you to pay a deposit (down payment) as a sign confirmed. I quite believe with your conform writing (deal) as you wrote in your email that sent to me.